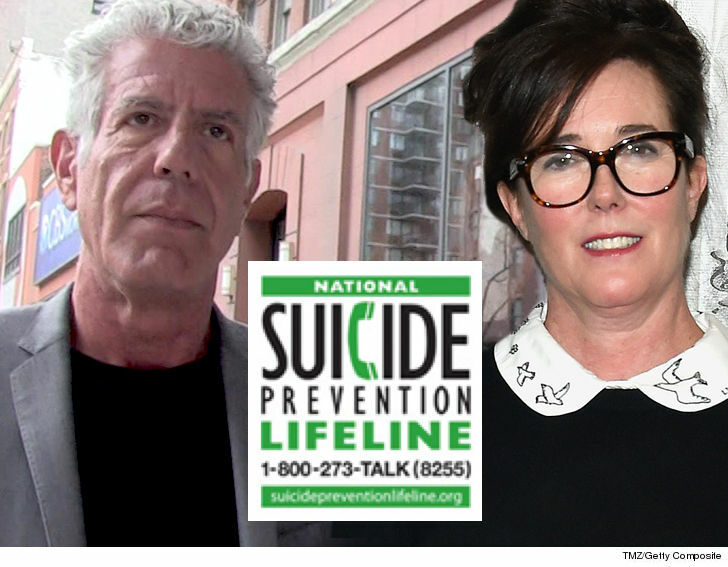 The tragic deaths of Anthony Bourdain and Kate Spade by suicide have sparked a wave of calls to the National Suicide Prevention Lifeline … TMZ has learned. As we reported … Anthony was found dead in his hotel room. Kate was found dead in her NYC apartment and both died by hanging.